I own and can operate: My recording studio features a 4x6 Voiceover isolation booth, a Neumann U87, Sure SM58 & SM57 Microphones, Avid & Final Cut Pro recording software and a Allen & Heath mixer. Adapter 2 Phone Patch Capabilities. I'm conveniently located in Burbank, CA., Service: *Turnaround Time most projects 24- 48 hours (RUSH jobs available at extra fee.). *Any High Quality desired audio file . *Five Star ✰✰✰✰✰ Customer Service. *Delivery Methods: Email, Dropbox, USPS. Avid/ FCP / Clipster / Fuze, Digital Rapids, After Effects, Photoshop, Rhozet Carbon Coder, Forensic Watermarking, Aspera FaxPex, Esprit. Ftp Delivery, DVD Studio Pro MacCaptions, MPF4 Stream Clip to briefly mention. Regionally hailing from the Ohio Valley, Marty lived a short time in near by Pittsburgh Pennsylvania, but soon accepted an opportunity which took him across country to Los Angeles, California where he worked for years in positions ranging from a tape operator to an editor in the post production side of the Film & Television industry. But it wasn't long after that initial move to Los Angeles that Marty soon began expanding his credentials to ones that now involved working in front of the camera & microphone. While studying at various Hollywood Acting Schools, Marty started to brake into the acting field by being cast in a small budget films, guest starring on Discovery’s TV series Guilty or Innocent, and landing small bit parts on CBS’s series TV 101. Theatre also played it's part in the scheme of things for Marty by performing in off Broadway theatre plays as well as being part of the renowned West Coast Ensemble theatre group. It was his theatre work that led him on a 7-week acting tour down under in Australia with His Majesty’s Players and to also receive a Los Angeles based, Irene Ryan award nomination for his stage performance as Sebastian in Shakespeare’s “Twelfth Night”. It was at this time when Marty ventured into the world of voice over acting by booking projects with Macmillan Publishing through the renown West Virginia based studio, Studio L. Marty has also ventured into the producing and directing side of the entertainment industry, by producing a short film which he also had written titled: “The Clowntown Detective”, in which he had also directed, edited and acted in. 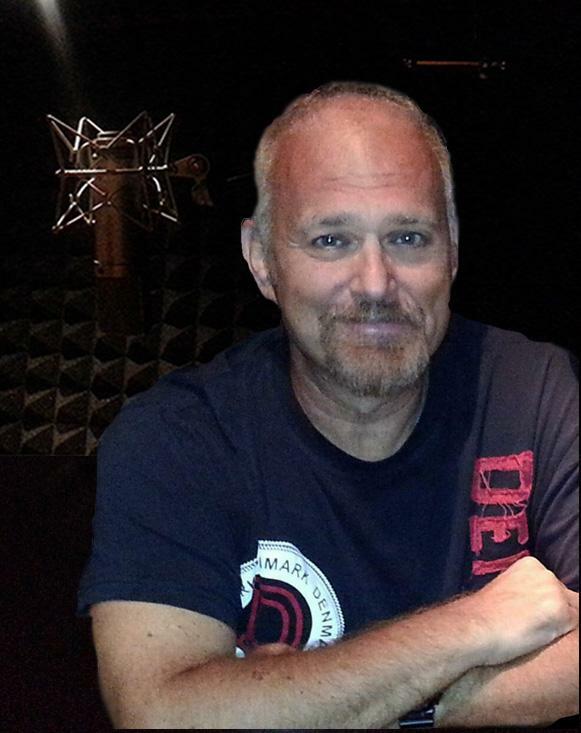 Although acting is always a revisited option for him, today, Marty focuses much of his energies on: Voice Acting, Freelance Editing for Dialogue Clean up & video editing, as well as making available his studio for voice over recording sessions. He currently resides in Burbank, California with his wife Gitte and their fury four-legged son Boo. “I've worked with Marty quite a few times. He has a "great" work ethic that will give until everyone is satisfied! I definitely will work with him again!" "Pulled Marty in for several voice over characters in a children's book project and he "Nailed it!". He's a true professional and a pleasure to work with. Can't wait to work with him on our next project." Available Writer, Director, Storyteller and Freelance Story Analyst. I have worked with Marty on several projects including his short film Clown Town. Marty's background as a writer, director and performer enhance his storytelling skills and make him a great editor. He is also a consummate professional with an old school east coast work ethic and down-to-earthness. his creativity, energy, and drive pushed me to new levels. As both a voice over talent and video editor, I can offer a mix of technical knowhow, creative thinking and artistic sensitivity to my client’s needs! Based in California, it's my Ohio root's and ideals that allow me to bring a: Genuine, Friendly, Blue Collar, Conversational, Confident, Grounded, Guys Guy, Trust Worthy, Strong, Folksy, Authoritative, Sarcastic, Cool, Gritty, Intense, Macho, Compassionate, Thoughtful, Homespun, Straight Forward, Gentle, Vulnerable, Pensive, Sardonic, Naive, Natural, Curmudgeon quality to any character and when needed. Whew!!!! That was all in one breath! My perfectionistic & professional work ethic, drive me to pay special attention to my character readings and final product delivery. You won't be disappointed!